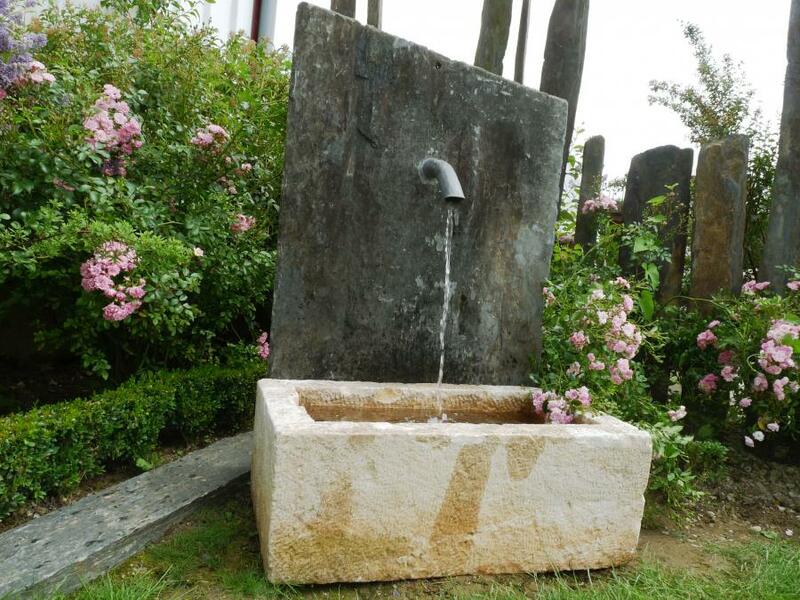 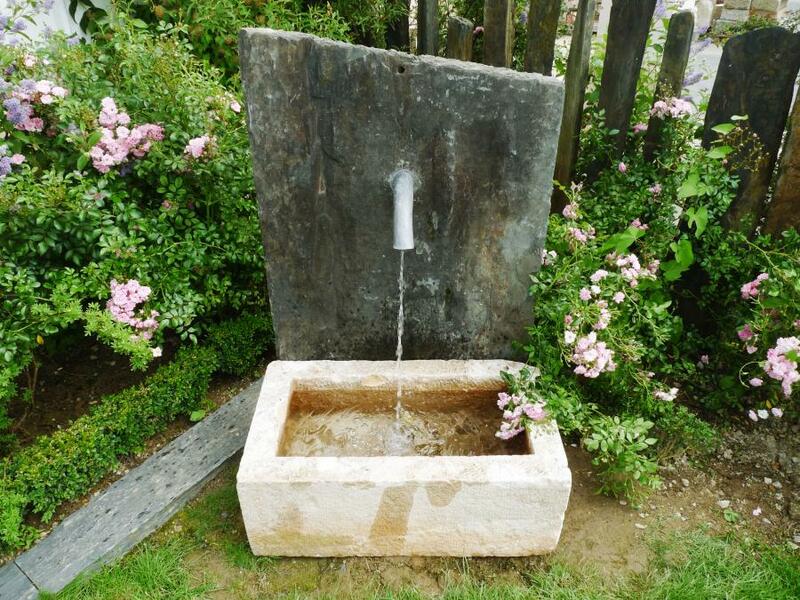 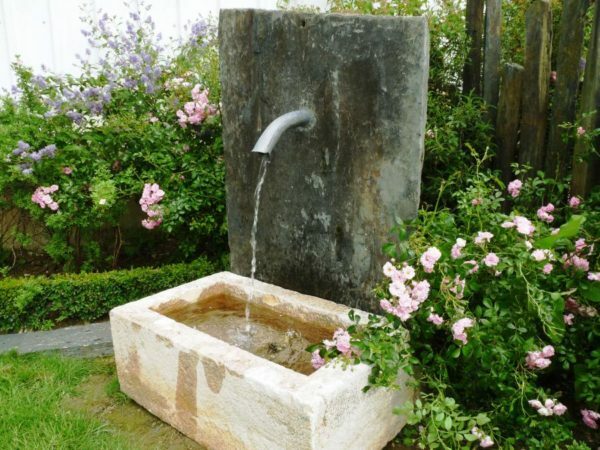 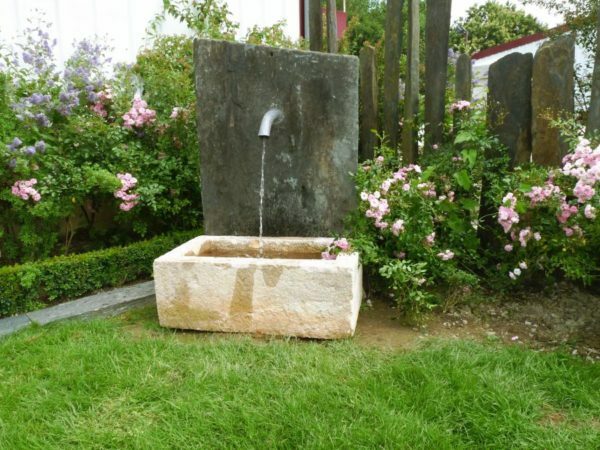 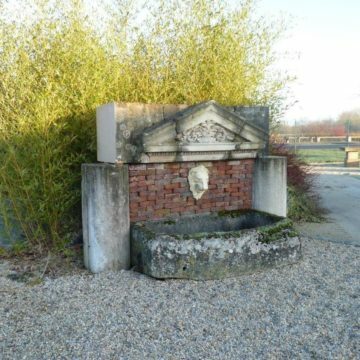 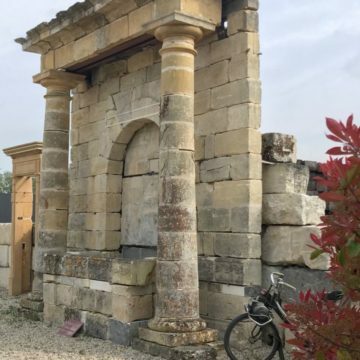 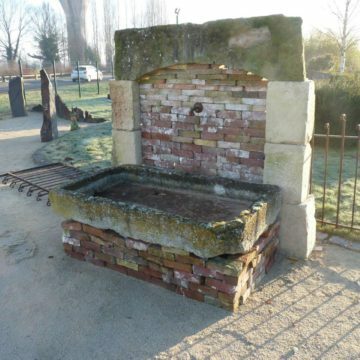 Garden water feature comprising a schist (slate) back piece with protruding spout, and a limestone trough. 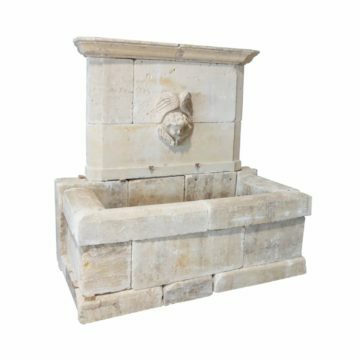 Dimensions approx: width 80cm (31.5 inches) x front-to-back 50cm (20 inches). 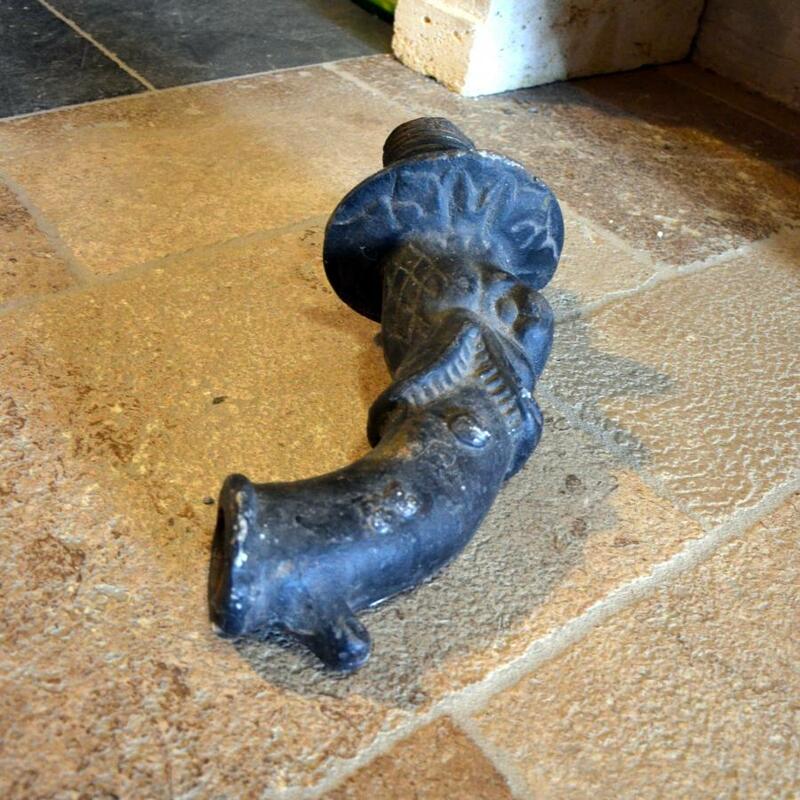 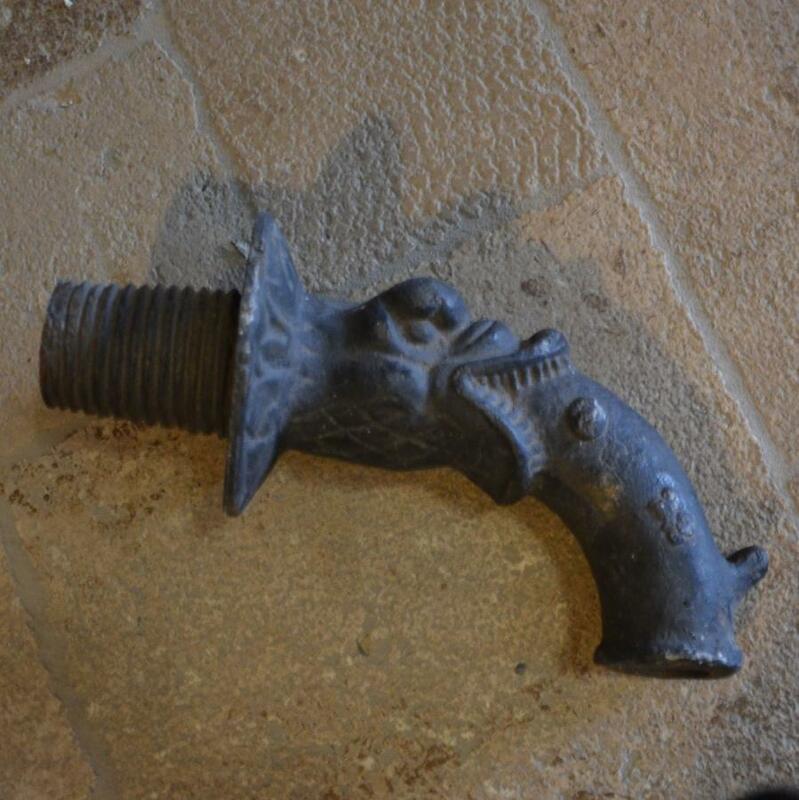 Trough height 30cm (12 inches). Overall height 120cm (47 inches).